Changing the Subject is a classic critique of traditional psychology in which the foundations of critical and feminist psychology are laid down. Pioneering and foundational, it is still the groundbreaking text crucial to furthering the new psychology in both teaching and research. 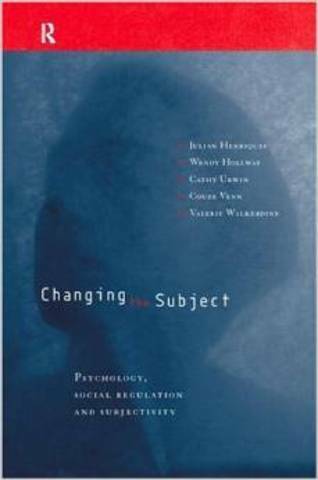 Now reissued with a new foreword describing the changes which have taken place over the last few years, Changing the Subject will continue to have a significant impact on thinking about psychology and social theory.